Angela Chen, designer of the OR Collection is selling an amazing collection of her own personal possesions to benefit charity (50% of proceeds will be donated). 90% of the items are unworn and some have been worn only once. 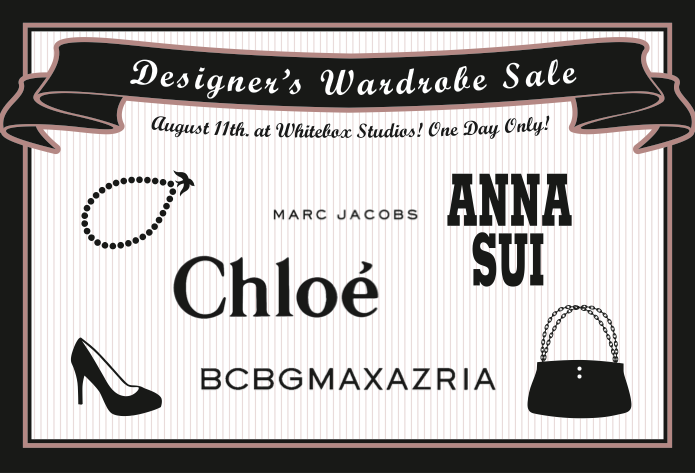 You’ll find runway pieces from Anna Sui, BCBG, Chloe, Marc Jacobs and more at 50 – 75% off in sizes ranging from extra small to medium and lots of great vintage too. Skip on down to 140 – 11100 Bridgeport Road, Richmond on August 11th between 11am – 6pm to take advantage of this great deal! Purchase by cash only.